APstem Therapeutics was founded in 2017 by scientists from Stanford University, to develop new technologies using a new type of adult pluripotent stem cells for therapeutic purposes. Our highest priority is to seek remedies for tissue injuries and aging-associated diseases to enhance human health. 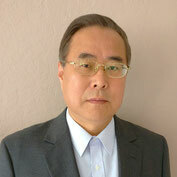 Dr. Hu is the founder of APstem Therapeutics and has been CEO and President since its inception. She has more than 20 years of experience in the field of stem cell biology, gene therapy and regenerative medicine. From a scientist at Stanford University to a leader of a biotech company, Dr. Hu has accumulated solid background knowledge and first-hand experience of clinical cell therapies as well as business operation. 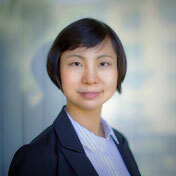 Dr. Li is the co-founder of APstem Therapeutics and serves as CSO and Vice President. Prior to joining APstem Therapeutics, he has conducted stem cell research at Stanford University for over 10 years. Dr. Li has broad knowledge and expertise in the stem cell field and biological experiments as well as in clinical treatments. His studies focus on development of new and effective stem cell products and therapies. Dr. Liu co-founded APstem Therapeutics in 2017 and has served as CFO and Director of IP. Prior to joining APstem Therapeutics, she was at Sheppard Mullin Richter & Hampton LLP, an AmLaw 100 law firm, working on patent prosecution and IP-related matters. 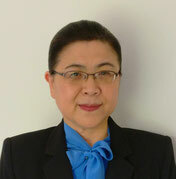 Dr. Liu received her Ph.D. in Cellular and Molecular Pathology from University of Pittsburgh and her B.S. in Biological Science from Tsinghua University. She has also conducted post-doctoral research at Stanford University.